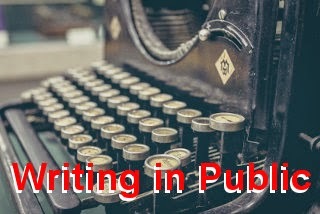 On Sunday, I wrote my January wrap-up for the Writing in Public series, yielding 610 words. I also wrote a post for the ASL blog based on a poem quoted in the Google doodle for that day. The poem aligned well with my plans for the Alliance for Sentient Lifeforms universe. During my lunchtime Monday I continued to work on the ASL storyline using Randy Ingermanson's Snowflake Pro software. (I also submitted a couple of enhancement ideas to him.) When I got home later that evening, I tried to shape the material I've put together about Captain Anslo Garrick into a sketch I can post on the ASL blog. It still needs work. I also need to go through the last step in the character creation process for Garrick, which is to live through some of his recent events with him. Tuesday I created an opening line, did some work on the ASL story, and some work on the How To Write Fiction article based on the ASL story work. I'm not counting these words as they're part of a larger document and I'm not sure how much was added or changed within it. Thursday evening I worked on a case study for a the Intro to Application Repackaging site, but realized it wasn't going to be very efficient to get the screenshots I needed over a VPN connection. I abandoned that effort. Friday and Saturday I did very little writing. On Sunday, I started working with 750words.com, a site where you're encouraged to write 750 or more words each day, sort of along the lines of the "morning pages" that Julia Cameron recommended doing in The Artist's Way. I got 948 words there. Sunday, I also wrote a post about a local homebrew supply shop for my Begin Brewing web site (388 words), a post which gives an overview of the home brewing process (657 words), and another on brewing a batch of beer with the Mr. Beer home brewing kit (1175 words) that I used to use. I spent much of the week with a backache that made it difficult to sit in a chair for long periods. Given that my full-time job involves a lot of sitting at a desk, I didn't have a lot of strength left over to sit at home and write. Still, I did manage to get some words in this week. I need to be more careful with software deployments, especially if the time between getting the work and completing it is rather lengthy. Watching the Travel Channel's Booze Traveler show, I've been inspired to figure out how to make the Turkish beverage (also made in other European countries) called Boza. It fits in with my home brewing hobby. Les Edgerton, whose book Hooked is helping my understand story beginnings and structure. Chuck Wendig, whose writing style, writing advice, books, and blog are all fun to read. Jack Maxwell, host of Booze Traveler on the Travel Channel... who's made traveling the world and drinking interesting beverages a job. Jim Downing of Buckeye Brewcraft in Westerville. Nice guy with a really good homebrew shop. I've only been once but I'm already looking forward to my next visit. Below is how all that worked out in word count.